Miss Tara is a well recognized and international know DJ touring in Europe and has been well know music DJ that regularly plays in Monaco. Monaco is well known across the world as the meeting point for many tourists across the world. There is no any iota of doubt that Miss Tara as a jetset DJ, plays a great set of house music as it has been evident in all her previous appearance across the world. 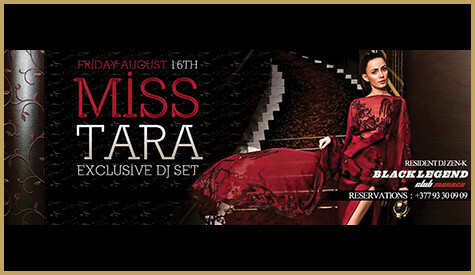 DJ Miss Tara is an iron and determined lady that has stood up to male colleagues in the music DJ industry.